In planning the inaugural Edge Family Fitness Run, EFF owner Carlos Salazar hoped to emulate one of the central tenets of a long-standing fun run organized by the Kiwanis Club of Wilsonville: children could attend free of charge. But there was just one problem. The City of Wilsonville rebuked his attempt to use the $5,000 grant initially given to the Kiwanis Club for the Fun Run, which was canceled this year, because the EFF Run will take place outside city limits. "It was unfortunate that the city couldn't contribute to it but the fact that the local businesses here in town really came together and were able to make it happen, that was exciting to see," Salazar said. "It's heartwarming to see local businesses care so much about the community they serve and are willing to give back at that level." The event, which will benefit the Kiwanis Club, will take place 10 a.m. Sunday, Sept. 9 at Sandelie West Golf Course, 3030 S.W. Advance Road., which is currently undergoing a remodel. The event will include a one-mile mud run for children, a 5 kilometer scenic walk/run and a 5 kilometer terrain/obstacle course run. "The idea was we wanted to have an event in the community that everyone could participate no matter their fitness level," Salazar said. "Something adults and kids could come to and have a great time together." 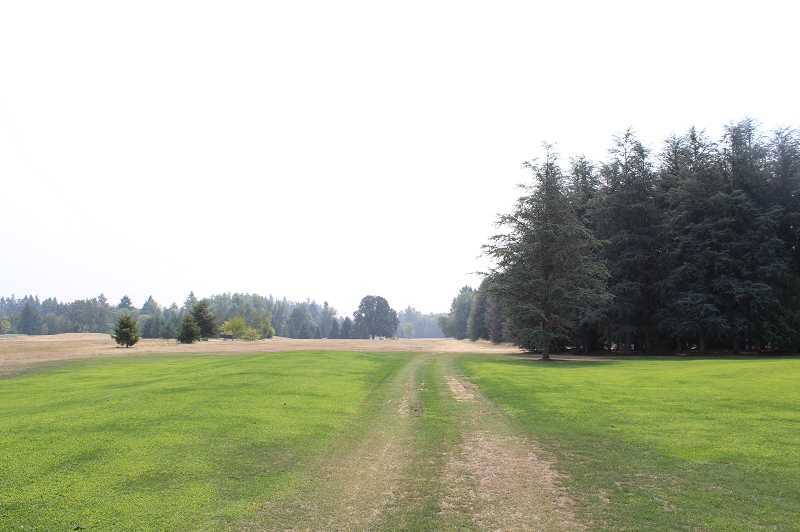 Runners will scamper onto the golf course but will mostly meander through acres of woods surrounding the course. "Something that got me excited about the kids run is, instead of running around a track (like at the Fun Run), they're out in nature and doing a run that's similar to what a lot of their parents are out there doing. Obstacle courses have become really big," Salazar said. The obstacle course run will include strength-testing obstacles like tire-pulls and log-carries and an area where participants climb into and out of mud. "Part of the run they get muddy, but there would be options not to do that," Salazar said. After the runs, Hop Valley Brewing Company will serve beer, Jesse Lee will perform country tunes, the Kiwanis Club will fire up the barbecue, Jr. Scoop will serve ice cream and children can enjoy inflatables, a rock wall and a dunk tank. Salazar previously booked Jesse Lee for the Music at Montague summer concert series in Villebois. "The reason we chose Jesse Lee is she engages with the kids so well. We have pictures of her signing autographs for kids, dancing with them, high-fiving them on stage," Salazar said. "Because we wanted this to be an event that kids in the community remember and look forward to for years to come we just thought she would add a really exciting aspect to the event." Salazar is not sure if the EFF Run and the Kiwanis Fun Run will merge next year or if both will be held separately but he says he wants to continue working with the Kiwanis Club. He is also bullish about the potential for a popular obstacle course event in the area. "I really foresee an opportunity to grow an event like this in Wilsonville where we can create a run that becomes noticed around the country; an obstacle course race that becomes something like a spartan run or a warrior dash," he said. This year, Salazar is aiming for over 1,000 people to show up. "We think it's going to be a great event, great turn out," he said. "We've got a lot of fun things in store for people."